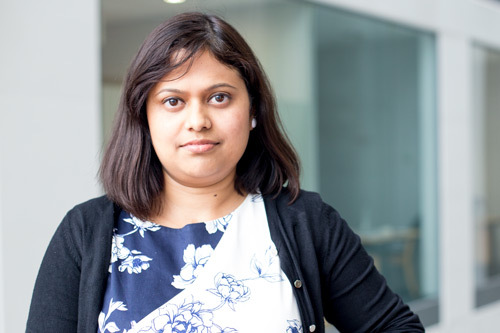 Powlami Ghosh joined City, University of London in June 2017 as IP and commercialisation consultant. Her role involves working closely with the researchers, advising on IP issues, identifying opportunities for exploitation from research outputs, building up IP portfolio and commercialising the research output through effective licensing deals and spin out. She has 9 years of experience in IP portfolio management and providing advice on IP commercialisation. Prior to joining City, she worked in Imperial Innovations ltd, which is the technology transfer office of Imperial College of London. Her previous experience involved working in various Pharmaceutical companies in IP management. Powlami holds a Master’s Degree in Organic chemistry and also a Bachelor’s degree in Law. She is passionate about bridging the gap between the academia and industry through effective commercialisation of the research output and bring about social and economic impact.